"The Masters Festival of Music" by Morehead State University. Office of Communications & Marketing. 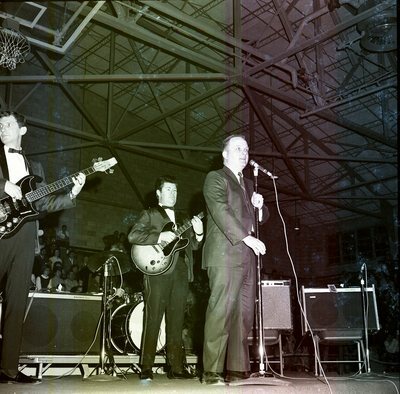 The Masters Festival of Music sponsored by the Alumni Association featured Floyd Cramer, Boots Randolph, and Chet Atkins at the Laughlin Fieldhouse on March 28, 1968 with roughly 5,500 people in attendance.